Taste test: These are average nacho cheese chips. 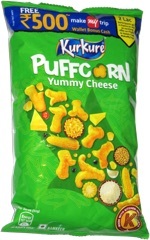 Not that cheesy and not particularly flavorful, but OK. Smell test: Regular nacho cheese chips smell. 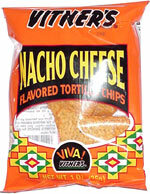 From the package: “Viva Vitner's®” ... “Vitner's 'Chicago Style' Snacks are a hit far beyond the Windy City!"